Kids are never too young to learn how to manage their money, set money aside into savings, and work towards their personal goals. If you’re a parent, start early and encourage your child to save by using fun methods to teach money-management skills. Whether or not their bank is actually shaped like a pig, having the proverbial piggy bank in their room will encourage your child to save their money. Getting your child a bank of their own will also allow them to experience the physical process of saving and how money set aside grows over time. Challenge them to see how quickly they can fill their bank. Kids love feeling their banks get heavier and heavier as they add more coins and paper money to them. You can even buy fairly inexpensive digital coin-counting banks that help your child keep track of just how much they have saved. Once that piggy bank gets full, your child will need somewhere safe to deposit their savings. Some banks have minimum deposit requirements, so make sure their savings will be able to meet that balance when you go to open the account. Once you open a savings account for your child, explain to them that they have their very open place to save money, just like you. Kids love getting to experience grown up things, and having their own real bank account will both encourage and excite them to deposit more and more money with the bank. Encourage your child to save while helping them to explore their personal interests. What excites your child? Focus in on that one thing that will encourage your child to save. Does your child love horses? Help them save their money for summer horseback riding lessons or an equestrian camp. Does your child love marine animals? Help them save money for a pass to the aquarium. These regulations specify to get esa certified with the different types of assistance dogs, and detail any special privileges the dogs are awarded if any. 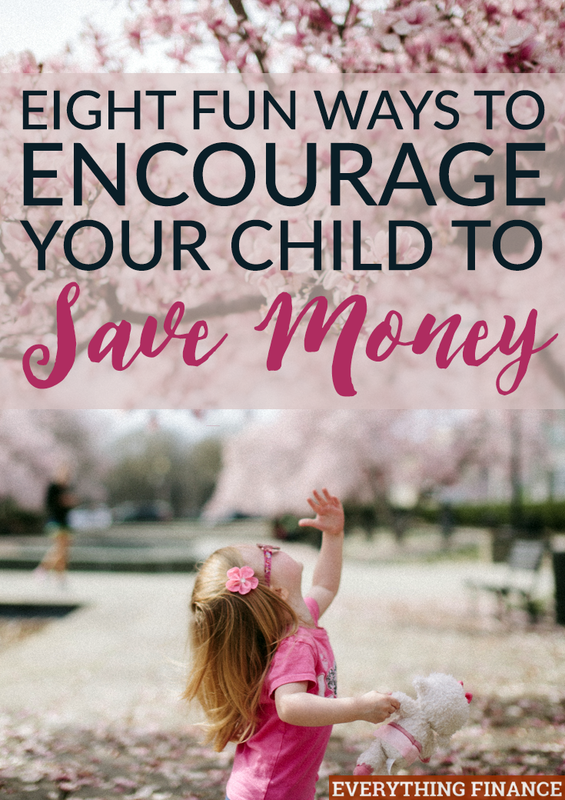 Connecting saving money with something that thrills them will make your child motivated to hang on to their money for a bigger prize in the end. Things that are out of sight go out of mind easily, so help your child create a savings visual that will help them reach their personal savings goal. If, for example, they do choose to save to attend summer camp, put a picture of the summer camp at the top of a paper “money thermometer.” As they save more and more money, they can fill in the red as they get “hotter” and within reach of their goal. Show your child that you want to support and encourage their ability to save money by matching their savings, dollar for dollar. If they deposit five dollars into the bank, give them five dollars to deposit from you as well. Not only will you help encourage your child to save money, but you’ll prepare them for the possibility of employee retirement matching in the future. Kids love to earn their own money. Keep a standing chore chart of extra jobs that they can do around the house to earn more. Show them early that the harder they work, the more money they will earn by having a range of jobs that can earn anywhere from twenty-five cents to $25. Emptying out the bathroom trashcans can earn a quarter, for example, while mowing the lawn can earn them $25. Whether it’s selling homemade crafts on Etsy, setting up a booth at a craft fair, holding a yard sale, or going door to door in the neighborhood looking to mow lawns and do other yard work, the possibilities are limitless. Just because your kids are young doesn’t mean they can’t be entrepreneurs. Start teaching your child to save as soon as possible. It’s never too early to encourage your child to save their own money. Even young children can understand the concept of saving half of their money. If they get five dollars from Grandma for their birthday, help them put half into savings. By starting your child early, you’ll help them develop a life-long set of money management skills that will be invaluable once they reach adulthood. How do you encourage your child to save? What activities do you do to help keep saving money fun?